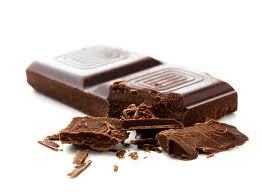 Dark chocolate is the best and the most delicious natural remedy I’ve ever known. It’s a music to my ears when scientists are talking about positive effects and curative effects of cocoa beans and high quality chocolate. This miraculous product is good for our health since it can protect us against destructive activities of free radicals, thus slow down negative changes in our body tissues linked to aging. This includes cellular degeneration which results in formation of cancer cells and tumors. High quality chocolate with over 70 per cent of cocoa is a great remedy to reduce our risks of increased cholesterol, type 2 diabetes, heart disease and other serious cardiovascular diseases. 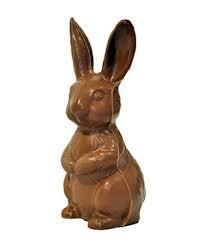 All we need to do is consume only 25-39 grams of a high quality chocolate on a daily basis. These days, it was reported that there is a special chocolate formula which in addition to the above mentioned properties is proven to be a great support for our blood flow. Those are the findings of a study carried out by a group of scientists who studied the effects of a famous premium Swiss chocolate, Barry Callebaut, known for its truly amazing taste. The evidence based on analyzing the effects of Acticoa cocoa powder used by the company-manufacturer for producing their elite dark chocolate has shown that this natural remedy can play a role of a great vascular health support, improve our blood flow and this way prevent a good number of common health problems starting from a stroke and ending up with hair loss. It is stated in the report that dark chocolate with a high content of cocoa (over 65-70 per cent) can “help maintain the elasticity of blood vessels, which contributes to normal blood flow.” However, the producers are convinced that these unique properties can be found only in their very chocolate brand. The experts from Barry Callebaut underline that their chocolate has especially high amounts of flavonols, special natural elements to provide a great elasticity of blood vessels. They say that using just 200 mg of flavonols from this chocolate or any other natural sources will be a great help not only for preventing cardiovascular diseases, but also for treating the existing cardiovascular and vascular conditions. The findings evoked a great interest among the specialists, and basing on the findings of this research, the European Commission issues a special permission to the company allowing it advertising and promoting their premium quality chocolate as a remedy to strengthen vascular health. It is planned that just in a few months every chocolate bar and approved chocolate product of the company will have a notification stating this newly discovered property. Compnay’s experts are proud to say that this is the first product in the industry having such amazing advantage, and they are convinced that this new healing effect of the chocolate will help in increasing public interest in the product, as well as increasing its sales. By the way, it was also recently reported that tomato extract FruitFlow also has similar positive effects on our vascular health. This entry was posted 5 years, 6 months ago.